Show us your Caesarstone Kitchen by sending us photos or tag us at #CaesarstoneSA on social media. Jean and his wife Marlie, moved into their Paarl Heritage home a few years ago with plans of making it their own. “I probably walked past this house a thousand times growing up, and never noticed it until it came on the market and we moved back to Cape Town.” says Jean. 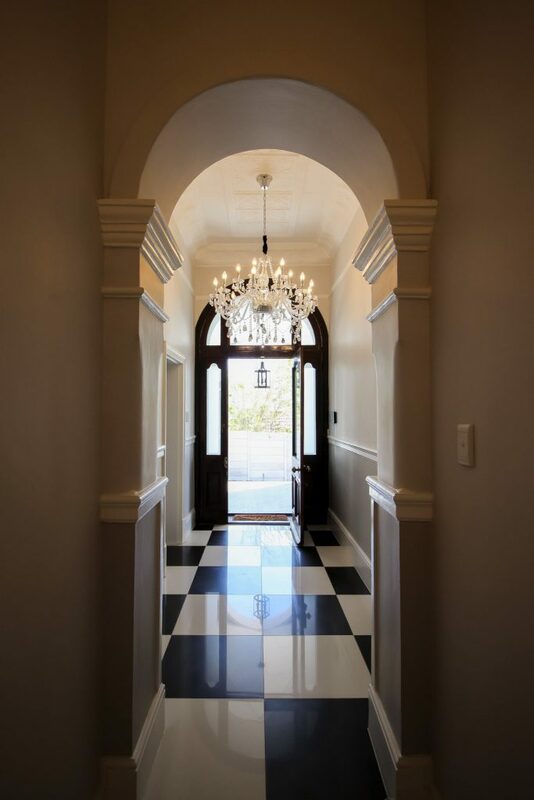 It is situated on a hill overlooking the breath-taking Franschoek Mountains and stands with welcoming grandeur. According to the deeds, the land was bought in 1961 and it still has flawless finishes and high ceilings that talk of this time. 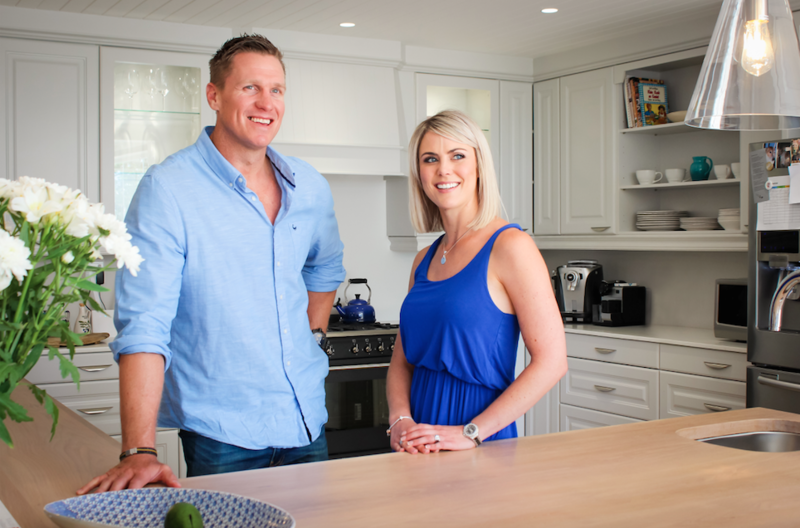 With Easylife Kitchens by their side the de Villiers family home was transformed into a gorgeous abode. As Marlie explains “I knew nothing about renovations before we revamped our last home, so I can tell you that it always helps when you have professional designers assisting you from start to finish.” Jean also adds that apart from the fact that the original kitchen was bright purple, investing in the kitchen area was crucial for them because they spend so much time there. They also wanted something timeless with longevity to respect the history of the property. 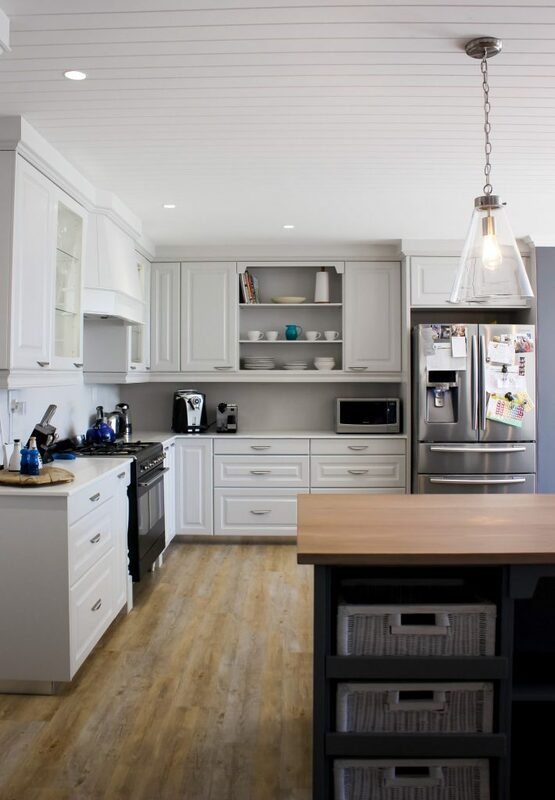 With the kitchen being such a hard-working space you need surfaces that can keep up. 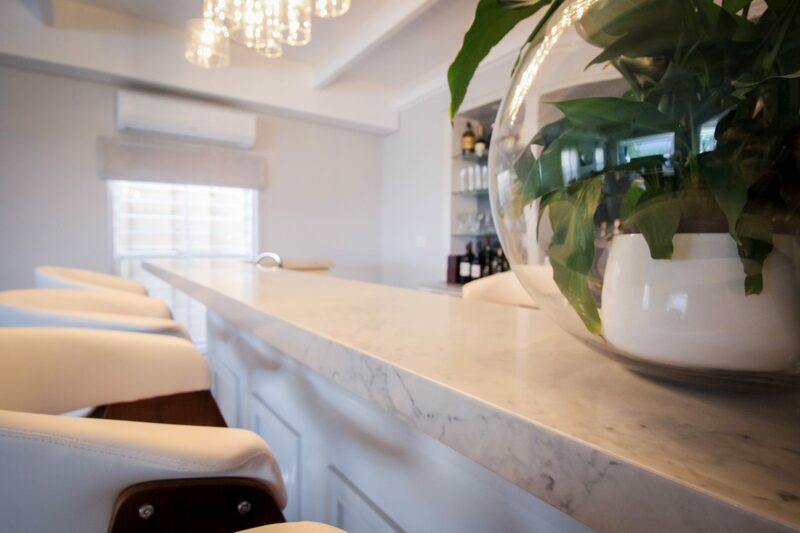 “We chose Noble Grey Caesarstone for the bar area, which has such a luxurious feeling to it, and for the kitchen and bathroom counters we chose Organic White. We couldn’t be happier with the quality and the final result,” says Marlie. We'll put you in touch with a Caesarstone Accredited Fabricator in your area. Genuine Caesarstone comes with a Lifetime Warranty. Visit our website or call our helpline to get a quote from a Caesarstone Accredited Fabricator. For design inspiration we have regular updates on social media so make sure you are following us on Instagram | Twitter | Facebook @CaesarstoneSA and here on our blog. Liked this? Then you would probably enjoy these gorgeous kitchen designs. Click to read more and get inspired by Caesarstone! 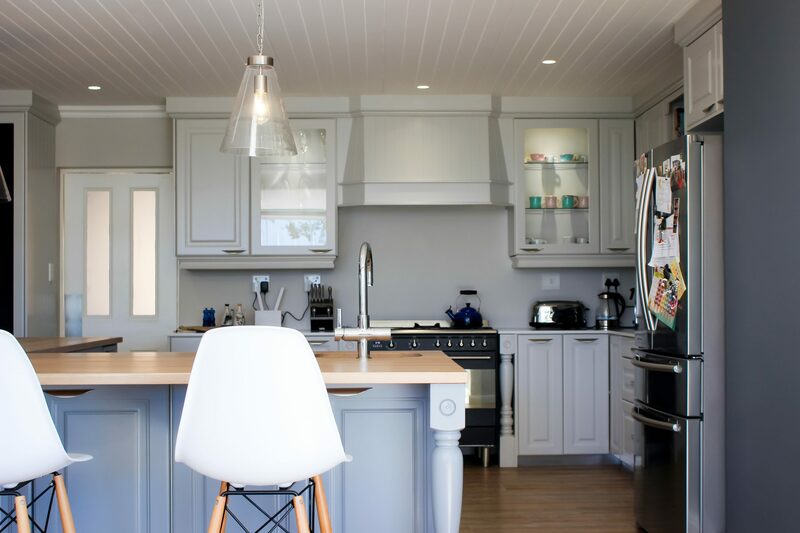 With 26 years of designing quality kitchens, contact Easylife Kitchens today!